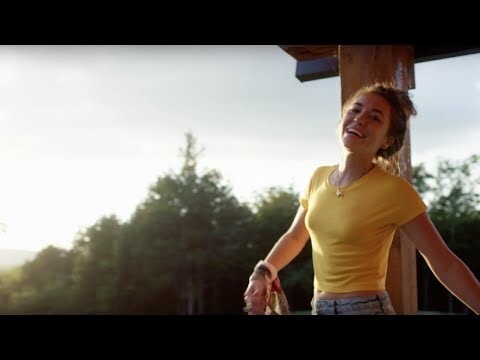 Signed to Centricity Music in 2013, Lauren Daigle’s first full-length album How Can It Be, now RIAA Certified Platinum, released in April 2015. The album was also nominated at the 2016 GRAMMY® Awards for Best Contemporary Christian Music Album, while one of its top singles, “Trust In You,” was nominated for the 2017 GRAMMY® Award for Best Contemporary Christian Music Performance/Song. How Can It Be won the Billboard Music Award for Top Christian Album in both 2016 and 2017; in addition, Daigle took home the Billboard Award for Top Christian Artist last year. She won the 2017 American Music Award for Favorite Artist (Contemporary/Inspirational) and has won seven Dove Awards (nominated for 14), including New Artist of the Year and Song of the Year in 2015 and Artist of the Year and Songwriter of the Year in 2016. Daigle has also received four K-LOVE Fan Awards, including Artist of the Year in 2016. How Can It Be spent 11 weeks at No. 1 on Billboard’s Top Christian Albums chart. The album also premiered in the Top 30 on the Billboard 200 and reached No. 1 on iTunes’ Christian Gospel Top Albums Chart. To date, the album has achieved over 1 million in total consumption, positioning Daigle as the fastest-selling new artist in Contemporary Christian music in the past decade. Her latest single "You Say" debuted at No. 5 on the all-genre Billboard Digital Songs chart and hit No. 2 on both iTunes' Top Songs Chart and Spotify's US Viral Chart, as well as Top 4 of Spotify's Global Viral Chart. In its first week, the song garnered 50,000 streams and downloads and its music video attained over 7 million views.